I cannot stop watching our wedding video, and we almost didn’t have one! Hiring Applause Productions – DJs and Videography is just one of those wedding ‘whew’ moments that went more perfectly than I could have imagined. To an extent, our videographer acted as an event liaison, keeping the day moving at a proper speed. It was like having a ceremony coordinator with the added perk of amazing video coverage! The day of our wedding, I wasn’t sure when to change into my dress or start lining up to head to the ceremony, and since Amanda at Applause Productions (along with my other great vendors) had worked so many weddings before, she knew when I ought to start what. It was such a relief working with someone who knew the ins and outs of weddings. I got to sit back and relax until someone told me it was time for something else! After the wedding, Lance and I were ecstatic knowing we had professional video coverage of the day available. Everything went so fast we could hardly remember the details! What should a couple look for in a videographer? How many cameras will you use? How many videographers will attend? Is it filmed in HD? What will my finished product contain? How will the sound be recorded? Will tripods be used for stabilization? Will there be a camera light for the reception? These are important starting points. We have found that some videographers may not be prepared for the dim lighting of a reception, or might only provide partial coverage of the ceremony. Make sure you know what you want and are sure your vendor provides it. 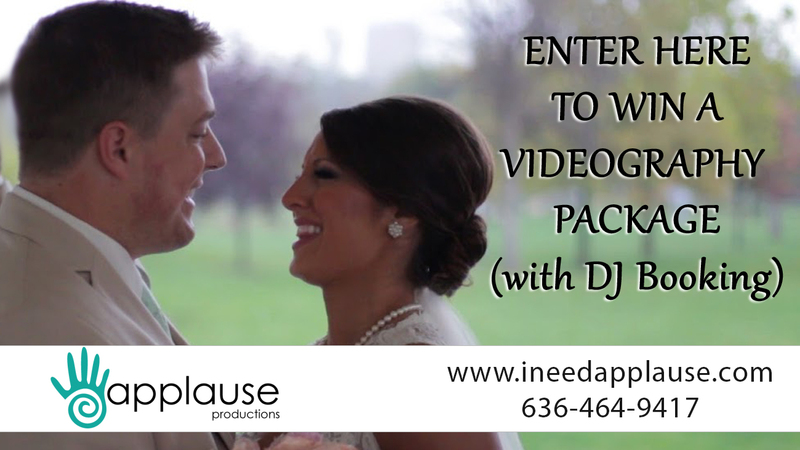 How can a soon-to-be bride and groom decide what they need in a videography package? What features should be must-haves, and what can budget brides go without? How can a couple prepare for a successful day with a videographer? Is there anything you wish more couples did in advance for a better end product? Applause Productions: One thing we find is that it’s helpful to plan for having everyone dressed and ready 45 minutes before the start of the ceremony at the latest. This means we can get all of the pre-ceremony footage and still have a comfortable time frame for setting up the cameras and sound recording equipment. I almost didn’t have a videographer because I thought it was out of my budget. How much should video packages cost, and what do you say to couples who think they should skip one? And here I thought I was eloquent… That’s exactly what I was talking about! That extreme feeling… it’s so surreal, and it wipes your memory clean! We were actually able to enjoy the day more knowing it was being recorded, as we didn’t feel the need to memorize all the details. I couldn’t recommend Applause Productions more. Everyone in our wedding and even several guests commented on the company’s professionalism and its team members’ great personalities and attitudes. Enter the contest now for a chance to get this amazing service at your own event! This post was sponsored but never fear, all opinions are my own.